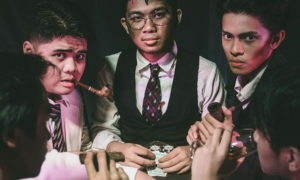 The play features the life and times of Wenceslao Q. Vinzons – from his beginnings as a student-journalist-leader at the University of the Philippines to his martyrdom as one of the leaders of the guerilla movement. It tells the story of a Filipino hero whose ideals still resonate to this day. In celebration of its 100th founding anniversary, Upsilon Sigma Phi stages “Bintao: Ang Buhay at Kabayanihan ni Wencelsao Q. Vinzons” directed by Tony Mabesa and Alexander Cortez. The play, written by Efren Yambot, will run from November 23 (3PM) to 24 (3PM & 7PM) at the UP Theater, Diliman, Quezon City. Joining Mabesa and Cortez is a formidable artistic team composed of Ohm David (set), Eric Pineda and Mitoy Sta. Ana (costumes), Meliton Roxas Jr. (lights), Krina Cayabyab (musical direction and composition), Jethro Joaquin (sounds), Winter David and Steven Tansiongco (video), Ruperto Camara, Felipe Jocano Jr. and Fritz Esase (movement design), and Dino Dimar (photography). 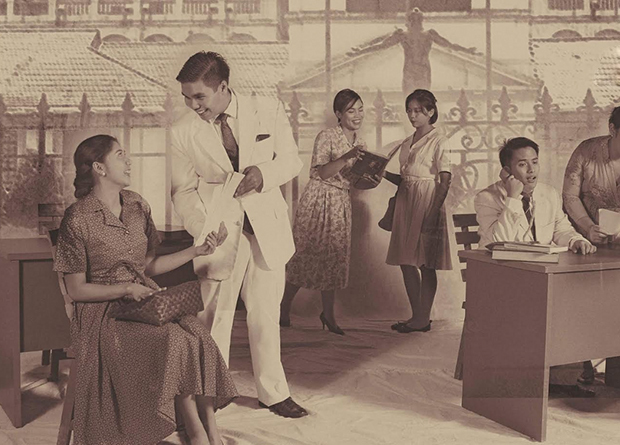 This production serves as the centerpiece of the fraternity’s centennial celebration since arts and culture have played a major part in its illustrious history. The cast is led by members of Upsilon Sigma Phi and Sigma Delta Phi. They are joined by guest actors from Dulaang UP, Tanghalang Ateneo, and Benilde’s Dulaang Filipino to name a few. This staging is spearheaded by executive producers, Gari Tiongco, Ponciano Rivera, and Leonides Bautista. 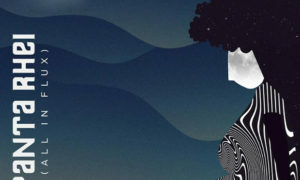 “Bintao: Ang Buhay at Kabayanihan ni Wencelsao Q. Vinzons” is staged in cooperation with the National Commission for Culture and the Arts, National Historical Commission of the Philippines, and the University of the Philippines System. For tickets and other inquiries, contact Camille Guevara at 09178239531 or Kami Andre De Asis at 09951417613.